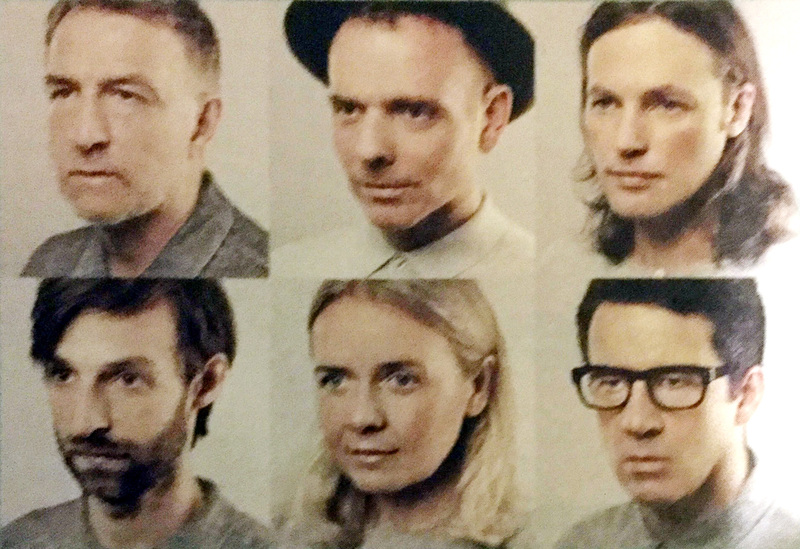 If one word could describe Belle and Sebastian’s gig at the Philharmonic Hall, that word would be ‘joyous’. After the almost meek entrance in darkness, whilst the visuals flashed on a giant screen, they slowly seduced the sell-out concert with ease. Stuart Murdoch, lead singer, did not converse with the audience until the third song finished, but then he teased and seduced them with his shy, geeky charm. That evolved into full blown dominance with his natural persona. The running order of the songs mirrored the bands character with a simple classic approach, almost understated, but evolving naturally, grabbing the audience by the feet until they could stay static no more. When they played, “The boy with the Arab Strap”, that’s when the audience found their dancing feet. Stuart Murdoch’s pied piper impression led the flock from the stalls to the stage, and dancing followed. The band continued whilst the dancers swarmed around them, not fearing for their safety, but relishing the unison between band and audience, creating a memory for everyone to witness. With their head space filled with pure joy, they danced to songs that were almost undanceable. Throughout the gig, the visuals continued, including slides of Anthony Gormley’s ‘Another Place’, and I suppose that was the metaphor for tonight’s gig: Belle and Sebastian gently guiding the audience to another place. Music, art and visuals, when synchronised together, can create a memorable concert, throw in a bit of dancing, then you have a party. Tonight, that feat was achieved. Check Youtube for past clips, particularly Glastonbury 2015 for a great example of band and audience in harmony.